Hooray! school holiday is on. 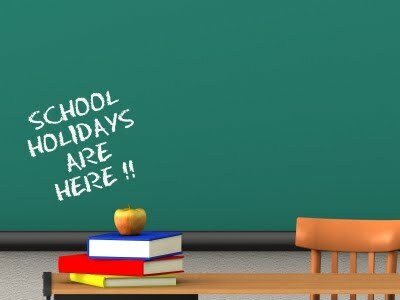 Some schools have 2 weeks holiday in conjunction with Raya festival. What are you going to do during holiday? For those who are in Form 3 and Form 5, please spend your time in revising all the subjects to prepare for your PMR and SPM. Don't wait for the last minute preparation that usually yield a rotten result. This second term school holiday is very crucial for you to do more exercises and past year exam questions. If you encounter any problems in your study, don't hesitate to publish your questions in this blog. I am willing to help you. When the major examination is around the corner, usually parents and teachers are the most nervous person in monitoring their student's study. This is the reaction of love. So, they are really concern and care about you. Study hard and study smart for the sake of yourselves and your parents. They love you!